I hope all is well with y’all in sunny and wet Florida! I’ve never heard of the show so I can’t tell you if they will or will not offer you any significant exposure. Unfortunately, these types of phone calls are usually telemarketers trying to get authors to pay to be interviewed on a show. They lure you in with false praise and promises, and then they hit you with bill. Sadly, many authors fall of this scheme. Since anyone with a computer and a microphone can have their own online “radio” show now, I would exercise extreme caution. HAVE YOU, TOO, BE CONTACTED BY A RADIO SHOW? PLEASE SHARE YOUR EXPERIENCE IN THE COMMENTS BOX BELOW. 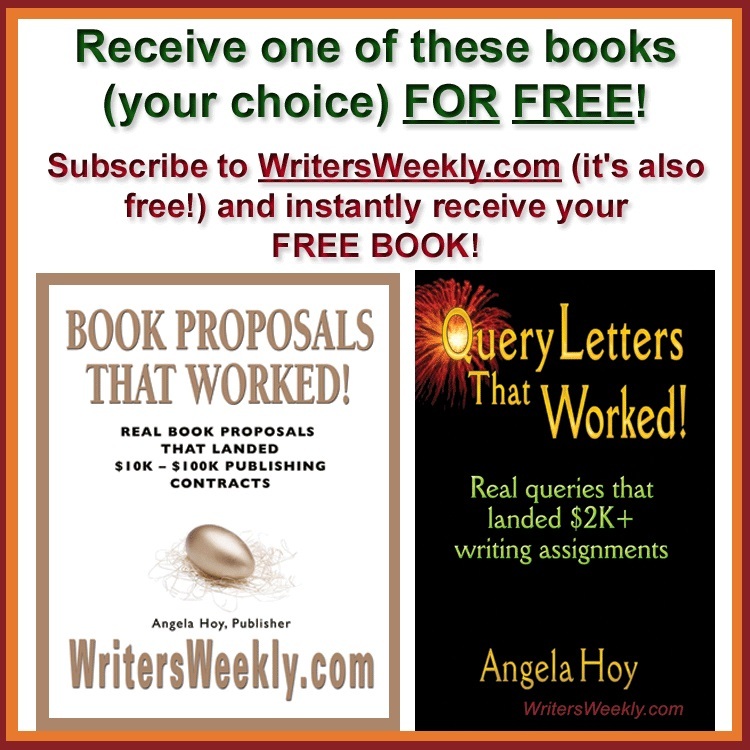 HAVE A WRITING- OR PUBLISHING-RELATED QUESTION FOR ANGELA? SHE’D LOVE TO HELP! Contact her RIGHT HERE. 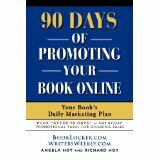 When you publish a book, you must sign a contract with your publisher, and provide your legal name. You must also provide payment information to the publisher in order to receive your royalties. That includes your social security number, or tax I.D. if you’re from another country. 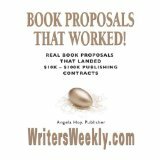 Bottom line is you must disclose your real identity to your publisher in order to be under contract with them. If you write about a court case you were involved in, the entity involved in that case will undoubtedly find out about your book. Even if you anonymize the entire story, if anyone can identify any person of firm represented in that book, or figure out which court case it’s about, you can get sued, and so can your publisher. And, all it takes to learn your real identity is a subpoena sent to your publisher, to which they must respond. If you really feel you MUST write about your experience, my recommendation is to NOT sign a non-disclosure agreement. Of course, that might mean you’ll need to actually go to trial with your case. I doubt they will settle if you don’t sign. DON’T FORGET! 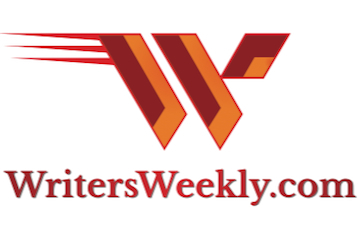 The WritersWeekly Spring, 2019 24-Hour Short Story is only 9 days away! There’s a limit of 500 participants so don’t delay if you want to play! 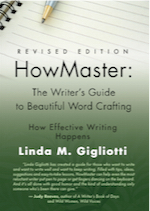 Could Your Employer Own Your Writing? 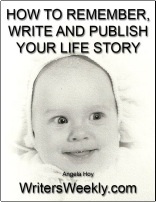 I was called by a “publicist” about republishing my book that they saw on Amazon. (It’s not supposed to be there because my lawyer was supposed to give them a cease and desist order since it was from Tate Publishing.) The website for this “publicist” is (removed). Do you have any intel on these folks? I suspect they’re bottom feeders, but I’ve never heard of them before. Thanks! Print on Demand’s Bottom Feeders! A smart author sent me a marketing email (spam) from a firm that implies (in their very tricky wording) that his book was “endorsed” by movie producers and their “partners” who are actively seeking a book to turn into a movie or TV show. Their email also claimed to have numerous industry professionals employed there but the “combined” years of experience for so many people is actually very low. I guess their marketing people haven’t figured that out yet…but they probably will if they read this article. Movie deals are exceedingly rare yet so many authors pay thousands to these types of firms each year. I’m willing to bet this firm makes the vast majority (if not ALL!) of their income from hopeful authors, NOT from movie deals. “endorsements.” Believe me. They don’t exist. What they sent the author was a form email and it’s highly unlikely that a producer or Hollywood partner has seen his book, and much less endorsed it. If they had, this firm wouldn’t be asking the author for $5K to shop his book around. They’d be asking him to sign a contract in exchange for a share of his future film royalties. It’s always nice when savvy authors send me copies of these scam emails so our readers can avoid these types of snakes in the future. I googled help on someone stealing my personal experience and character name and your article came up about writers stealing from other writers. An elder lady writer has been stalking me for 7+ years every single day. She has copied my blog posts and used some of my blog post ideas as her own. She didn’t even bother to change the name of the character of my dead dog. She took a personal experience I went through and is trying to take credit for my life practically. On her Twitter she would constantly spam pictures of dogs that look similar to my dead dog so this isn’t a thing of coincidence in story plot ideas. She deliberately stole my personal experience and rubbed it in my face knowing that she wouldn’t get into trouble for it. She’s not going to get into any legal trouble because I have no energy to sue her for writing my personal experiences into her story. Could someone please give me some advice on how to deal with this? She literally stole my life and is trying to write about it as her own. 1. Copyrighting all the posts in your blog. Put them in all one document to save money. 2. Copyrighting your photos (you can also do those in bulk). 3. Wait until she steals your material again. 4. Send her an invoice for copyright infringement. Charge her $750 for each occurrence. 5. Pursue legal action if she doesn’t pay. At the very least, it might make her stop her illegal activities. No. Recreating a scene from another photographer’s photo, taking that photo, and using it for profit is still copyright infringement. You will either need to find the person who owns the rights to that photo so you can obtain written permission to use it, or you will need to use a different photo. Copying someone’s work, whether in writing or in another medium, is still copyright infringement, and can lead to a lawsuit. “Can I Copy This Without Permission?” Nope! “Can Your Publisher Get YOU Sued For Copyright Infringement?” Yep!! I am sure you have heard about Amazon allowing anyone to sell any product. My interest is having my book offered at ridiculous prices far above the quoted cover pricing. These scammers use my Amazon ads and illustrations claiming all sorts of things, like having 15 books of varying quality on hand. Raising the cover price from $13 to $45. And one site actually at $620. However, my publisher and I have never sold books to these people. Amazon says I have to go to the guilty parties and demand that they remove the ad. But, the next day I find the same ad under another name with the same fraudulent information. Any suggestions? Comments? Your history with this? 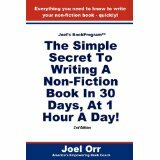 How can I find out which publishers are imprints of Author Solutions? They took me for a little over $15,000.00 so I’d like to stay as far away from them as possible! I was abused by two family members for several years. I am thinking of writing a book about my recovery to help others who have also been abused. I would tell my personal story to illustrate this subject. One of the abusers is still living. I have no contact with that person. He is a sociopath. I would not name him in any book I would write, but I would have to refer to him as my relative. Could this have legal consequences? Would you advise a different strategy? The abuser could (and, if he’s a true sociopath, probably would) sue. Not naming him can’t protect you from that. Anyone who knows you personally likely knows who he is. You can bet news of your book will get back to him in one way or another. You also need to be concerned about your safety. True sociopaths can resort to violent crimes to protect their past secrets. 1. Anonymize and fictionalize the entire story (state on the copyright page that it’s fiction based on actual events). Change names, dates, locations, and descriptions of events. You can do all of this without changing the core message you want to convey to other victims (your readers). 2. Use a pseudonym (of course). 3. Never tell anyone but your publisher that you are the actual author of the book. If you tell people, word will get around and, even if you used a pseudonym and called it fiction, he could still sue. That is a risk you do NOT want to take. I know this is discouraging but even one such lawsuit could bankrupt you in legal fees – even if you win in the end. And, the emotional damage you would be forced endure by interacting with your abuser all these years later could be devastating for you and for your family. HAVE YOU EVER BEEN AFRAID OF THE LEGAL CONSEQUENCES OF WRITING ABOUT YOUR PAST? PLEASE SHARE YOUR ADVICE IN THE COMMENTS BOX BELOW. My novel features real politicians. Since they’re public figures, I can’t be sued, right?” YES, YOU CAN GET SUED! Can a Ghostwriter Be Sued for Libel or Invasion of Privacy?